The device, explains Professor Mina Hoorfar, is essentially 'an artificial nose' that can smell any sort of odour including noxious substances like natural gas, ammonia or sewage. "Our sense of smell is one of the most important abilities humans have," says Hoorfar. "Our nose affects the quality of our lives significantly and helps with the detection of toxic gases in the environment, fire awareness, spoiled food or triggering memories. With this in mind, there has always been interest in developing devices that can mimic human olfaction systems." The tiny gas detectors, developed in UBC Okanagan's Advanced Thermo-Fluidic Laboratory, consist of 3-D-printed parts, which create the microchannel and a metal oxide semiconductor. The detectors can be connected to a sampling chamber or be used in a lab environment. "The gases interact differently with the channel coating and this is why it is called 'like dissolves like,'" says Paknahad. 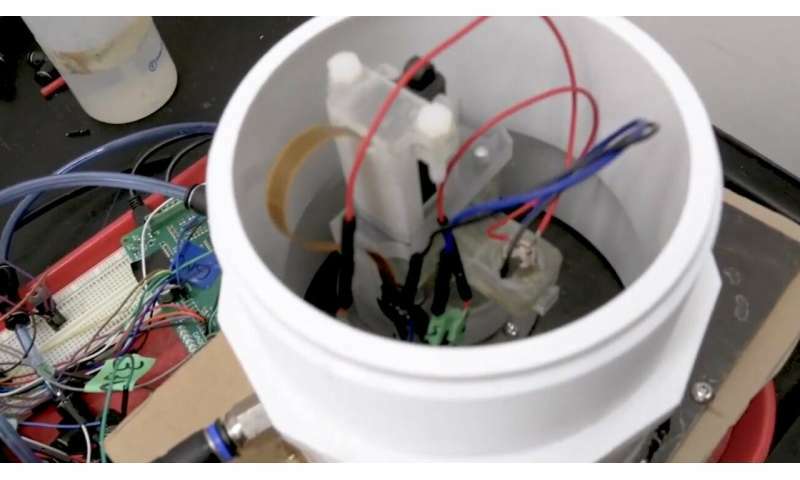 "Our research demonstrates that these low-cost detectors can be custom-made for different applications while maintaining accuracy and precision." "There are many examples of highly accurate systems," says Hoorfar. "But despite their accuracy, the size and cost of these systems limit their applicability in the detection of volatile organic compounds in numerous applications that require portable and easy-to-use devices. Our devices offer a small, inexpensive and highly-accurate alternative." "This has the potential of changing the way municipalities and utilities conduct their monitoring," says Hoorfar. "Based on the initial reaction of our municipal partners, we are excited to see what lies ahead."